So this is what it is all about! 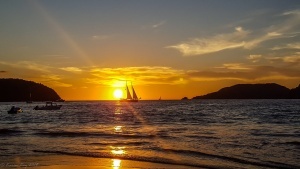 Sunset cruise for Sailfest Zihuatanejo with Patricia Belle and Dos Pacificos. Just perfect!